Groupon is offering 20% off beauty with the promo code below! 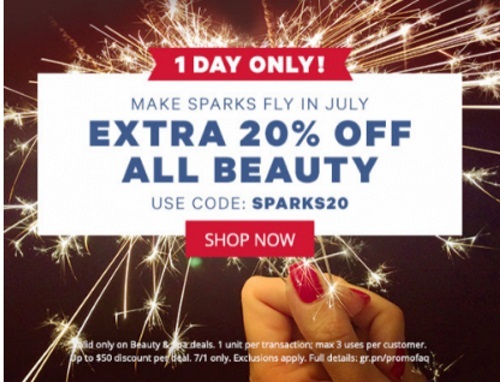 Enter the promo code SPARKS20 at checkout. Offer is valid until Friday, July 1 at 11:59pm PST. Click here too browse Groupon.